I’m currently in Singapore for work and whenever I stay at a hotel, my neck starts to hurt. I’ve been having issues with pain around my neck and shoulders for years. It is due to the stress at work and my bad posture at my desk (ie., when I sit for long periods of time, I can’t help but slouch forward). In last few months, it has become so bad that I get headaches and pain along my left arms. So, for the last six months, I’ve been going to various Chiropractors, Physioterapists and Acupuncturists. They all tell me similar things, which is that I need to learn to reduce my stress because when we are stressed, our muscles tighten. Most of them recommend meditation. I’ve tried meditation and it is extremely difficult to just sit there for 30 minutes and think of NOTHING. It is really impossible for me! I can’t even imagine what thinking of NOTHING would be like. I will be sitting there and be telling myself, think of nothing, think of nothing, but I always then end up thinking of something — usually about my plans for the day, what things are on my “to do” list, what should I have for lunch etc etc. They say that if you can’t think of nothing, then think of clouds and how they are just floating above you. Well, when I think of clouds, I’m thinking — I wonder if it will rain today, I better take my umbrella just in case, I should stay in office tower for lunch if it rains … hmm … I don’t really like the restaurants in our office tower … I don’t want a heavy meal .. . why are there no good salad places in Hong Kong …? Usually, my thoughts always end up about food. I complained about this to a very good friend of mine who lives in France, who recently went to a Transformation and Health seminar. She said that the one thing that they stressed at the seminar was the importance of “coherent breathing”. I asked her what that was and she said that it was a type of controlled breathing exercises for those people who don’t like to meditate. I looked it up and according to various studies, these breathing practices can help reduce symptoms associated with anxiety, insomnia, post-traumatic stress disorder, depression and attention deficit disorder. The articles say that controlled breathing can change the response of the body’s autonomic nervous system, which controls unconscious processes such as heart rate and digestion as well as the body’s stress response. Wow, sounds good to me! So I’ve been trying it. Basically, the goal is to breathe at a rate of five breaths per minute, which generally translates into inhaling and exhaling to the count of six. I found an App that actually does the counting for me and has a timer. It is called “Coherence” and I just play it for 5 mins (I like the sound of the ocean that they have). It is very relaxing!! This breathing made me think about the time my brother-in-law died in a freak hang gliding accident. It was many years ago but I remember seeing him in his coffin and thinking how it didn’t look like him at all. I realized that the reason was because he wasn’t breathing — there was no life in him. 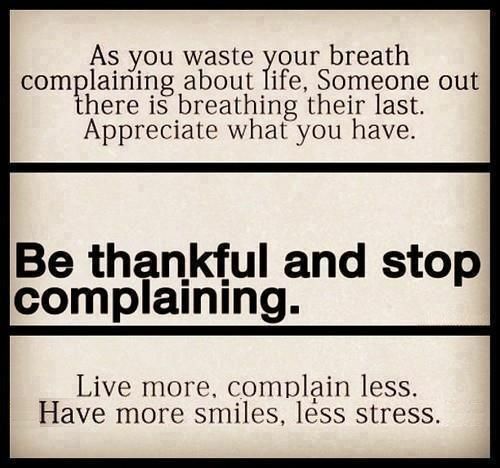 We tend to forget that as long as we are breathing, we are alive and given a chance for a better and happier life!